This Root Beer Float Pancakes recipe is like having a classic root beer float, but in a breakfast favorite. Not only do the pancakes taste like root beer, but you top them with pancakes syrup that is made with VANILLA ICE CREAM! Go ahead…treat yourself! 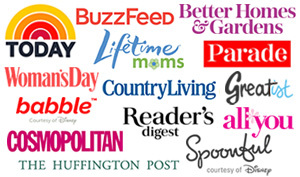 Disclosure: This post features compensated affiliate links which help support the work on this blog. We are in the middle of winter, but the last two recipes I’ve posted have been recipes that been somewhat summer themed. You might think I’m longing for winter to be over, but really, I’m not. I’m okay with summer staying far away (for now) and enjoying the “cold” Vegas weather. The first summer-inspired recipe was my Smores Pull-Apart Rolls. Of course, those are baked in the oven, so making them on a cold winter day works perfectly. 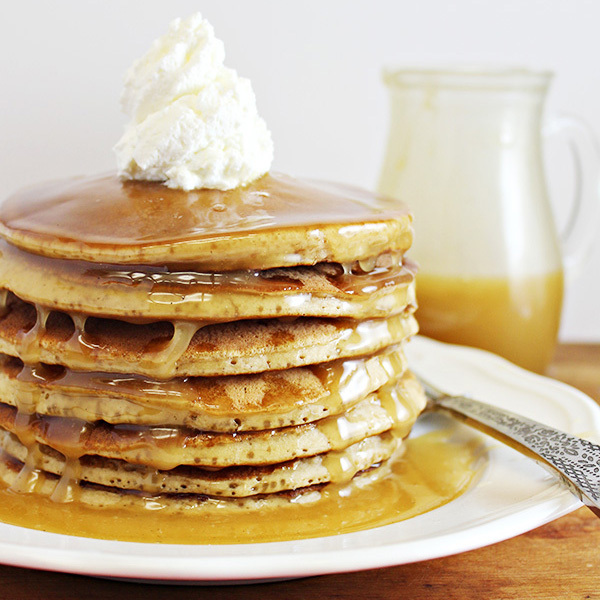 Then, that brings me to my recipe today: Root Beer Float Pancakes. When I think of root beer floats, I think of them as a summer treat. Or, at the very least, a warmer weather treat. But these pancakes? It might be the first time that a “root beer float” has actually warmed you up in the middle of winter. While making these pancakes will be easy for you, it took quite a bit of trial and error to get it right. Making the actual homemade pancake mix was easy, but I was determined to make those pancakes taste like root beer. In the end, it took at least 6 batches (I started to lose count) of pancakes until I was happy with the flavor. Of course, having “too” many pancakes isn’t a problem with my family – it’s just good that I know how to freeze pancakes. While these pancakes are full of root beer flavor (I’m in love with the smell of them too), the other part of this recipe I wanted was the vanilla ice cream part. Sure, you could top these with a scoop or two of vanilla ice cream and that would be quite delightful, but I wanted a pancake that was more traditional in style: pancakes with syrup. I tested these pancakes with a basic homemade vanilla syrup, and while it did the job, I wasn’t excited by the results. So, I got the crazy idea to use actual vanilla ice cream to make my syrup. Would it work? Well, I’m please to share that not only did it work, it is SO AWESOME! If you’ve ever had buttermilk syrup, you’ll recognize that the ingredients of my Vanilla Ice Cream Pancake Syrup is similar, except it doesn’t use buttermilk, but uses vanilla ice cream instead. Sounds kind of crazy, right? Yeah, but it totally works. When I tasted my final batch of pancakes, dipped in this glorious Vanilla Ice Cream Pancake Syrup, it was exactly the taste I wanted: root beer floats in pancake form! You’ll notice in the recipe, that I use both root beer and also a root beer concentrate. I made batches with just root beer (and no concentrate or extract) and I didn’t feel that there was enough root beer flavor. It was very, very subtle. So, while you could skip the concentrate or extract, you won’t get much of the flavor (in my opinion). I also made a batch with no root beer, but using only root beer concentrate, and again, I didn’t feel that it had enough flavor. The winner was using both. Here’s the full recipe – I hope you enjoy it as much as we did. Also, are you on Pinterest? If so, be sure to pin this recipe on Pinterest! Treat yourself! This Root Beer Float Pancakes recipe is like having a classic root beer float but in a breakfast favorite! In a large bowl, mix together all dry ingredients. Stir in remaining ingredients, but don’t over mix. Heat a non-stick or greased griddle or pan over medium-high heat (I heat my griddle to about 350 degrees F). Scoop 1/4 cup of batter and pour onto hot griddle. 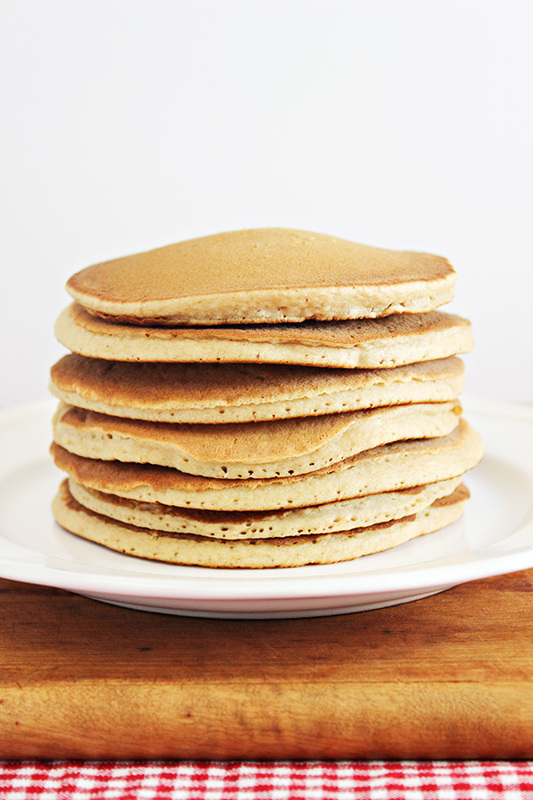 Cook until multiple bubbles appear on your pancakes and edges begin to dry out a bit. Flip pancakes over to cook other side. Cook for about 1 minute or until golden brown. Remove from griddle or pan and serve with your choice of toppings. In a large saucepan, place butter, sugar, melted vanilla ice cream, and corn syrup. Turn heat on low-medium and stir to combine ingredients. Continue stirring until butter is melted and ingredients are combined. Bring to low boil and cook for about 1-2 minutes, stirring frequently. Turn off heat and quickly whisk in baking soda and vanilla extract. Mixture will foam and rise, but continue to whisk until fully combine and mixture settles. Set aside to cool. Mixture will thicken a bit more as it cools. 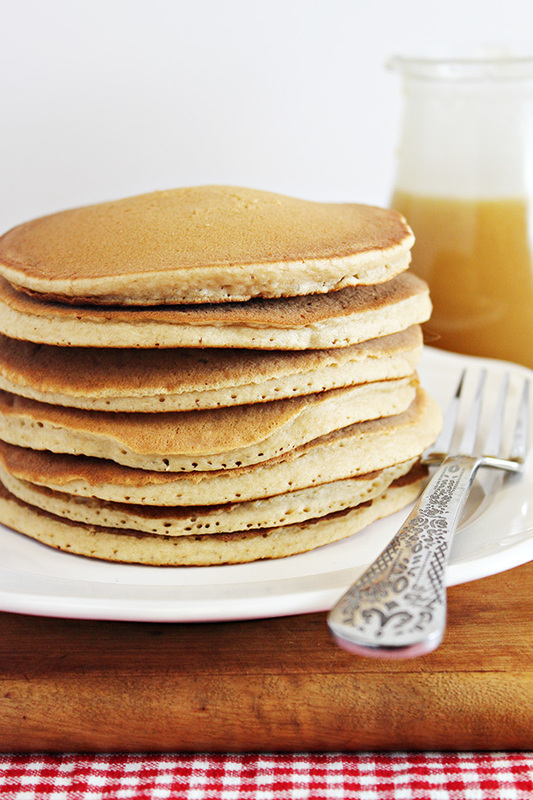 I used a 1/4 measuring cup to scoop my pancake batter, which gives me about 16 pancakes for this recipe. If you use a larger or smaller amount, your servings will vary. 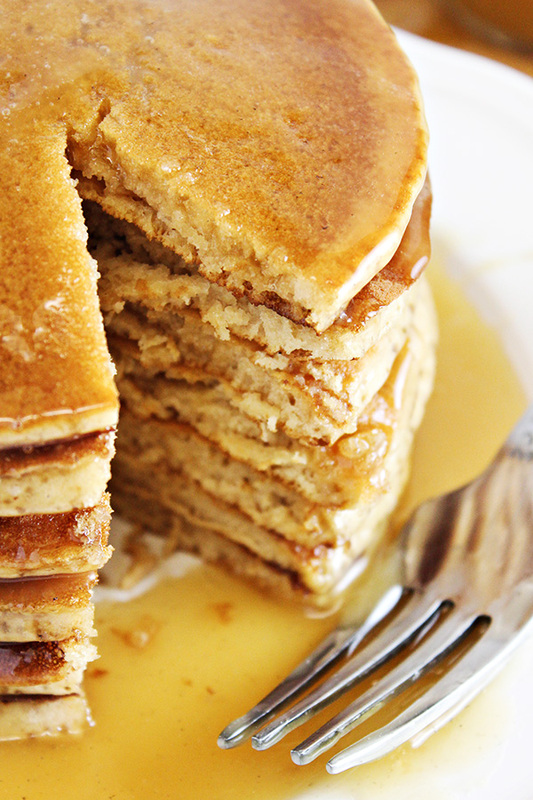 Want more homemade pancakes recipes? 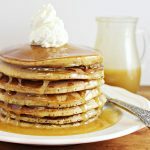 My Root Beer Float Pancakes Recipe is my contribution to the #12Bloggers Event that happens on the 12th of every month. It includes myself and 11 blogging friends and we all create recipes around a common theme — all of the recipes have 12 ingredients or less too. 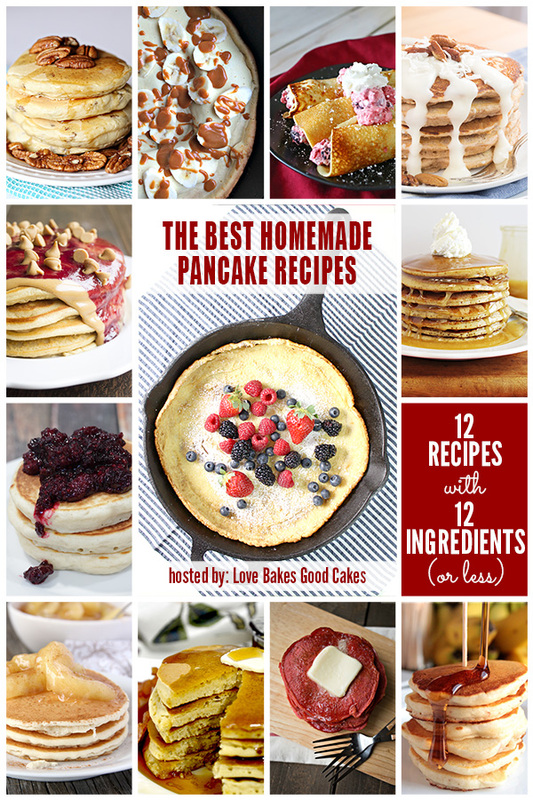 This months theme is PANCAKES and is hosted by Jamie at Love Bakes Good Cakes! 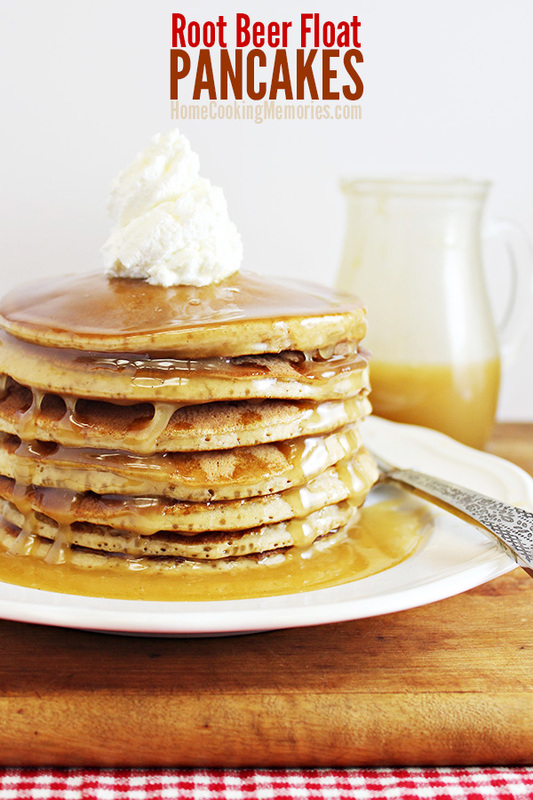 Those root beer float pancakes look so good! My grandchildren would love these! And that syrup, Mmmmm! Thank you for sharing on Party in Your PJ’s. 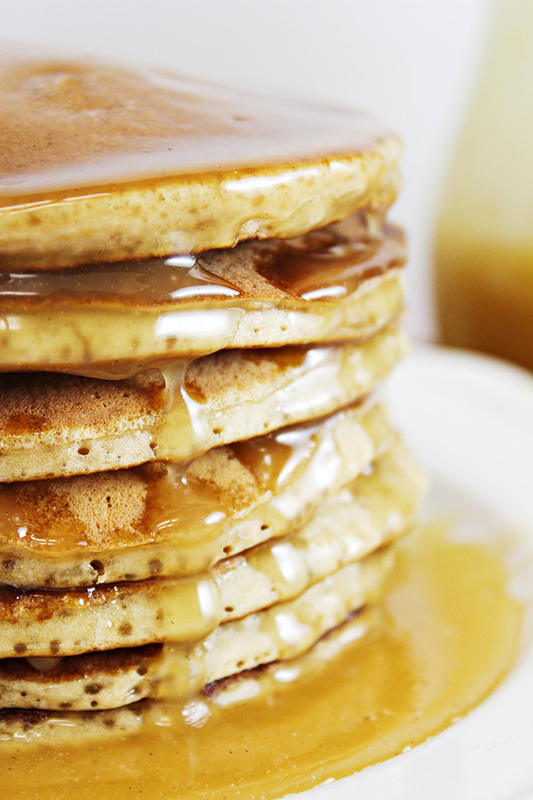 My son loves root beer, so I know he’d love these pancakes, too, especially with ice cream in the syrup!